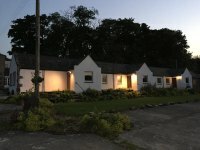 Flexible accommodation, recently renovated cottages for rent, countryside location, close to Aswanley, edge of the Cairngorm National Park, Scotland. We offer a Boutique style, flexible accommodation at Drumdelgie and anyone and everyone is welcome to this family run “one of a kind” luxury accommodation with huge beds and Egyptian cotton linen, free WiFi, full Sky TV package, with a welcome pack of fresh coffee and milk and much more. We know when you stay away from your home you want at least the three basic things. You want a comfortable bed, a great shower and most importantly - peace and quiet while you sleep. There's nothing worse than sleeping on an uncomfortable bed in a cramped room with a bathroom that has a poor shower, and…you had a disturbed night’s sleep due to noisy neighbours or roads/railways/airports. 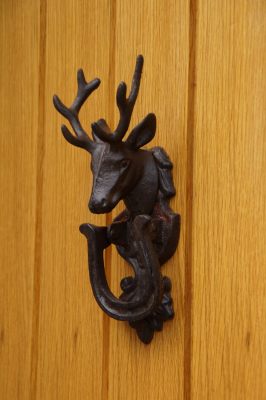 Here at Drumdelgie, we have left no stone un-turned to remove all of these usual worries so that your stay with us is memorable, that you will return to us and that you will recommend us to your friends and families and colleagues. Come and stop with us for a few days, relax and enjoy all that this stunning part of the UK has to offer, and be part of this family run, luxury accommodation. Drumdelgie is situated above the river Deveron with stunning views over the surrounding countryside. Drumdelgie is just 3 miles from the traditional market town of Huntly right in the heart of the beautiful Aberdeenshire countryside. We are also only 4 miles from Aswanley wedding and events centre. Drumdelgie was formerly the biggest farm in Aberdeenshire and one of the largest in Scotland and working life on the farm in the 19th century is described in a very well-known bothy ballad known as Drumdelgie, but called " The Hash O'Drumdelgie ". We have many exciting plans ahead such as developing the gardens into some small play, BBQ and seating areas for guests to enjoy. Also adapting one of the steadings to be used for small private functions. We also plan to develop a small gym and introduce jacuzzi’s. 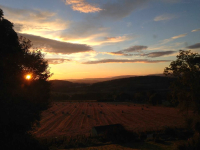 We are located between the Grampian Mountains and the unspoilt coastline of Moray Firth. Such an ideal location for visiting the famous Speyside distilleries on the Whisky Trail, or Scotland's many dramatic and romantic castles on the Castle trail. Wildlife and walking, cycling, fishing and shooting are a sample of the many activities in abundance throughout the area, and even on our front door, and we can help you arrange fly fishing with a local guide. We are 3 miles (about 5 minutes) from Huntly: 45 minutes from Aberdeen airport: 3 hours to Glasgow: 3 Hours to Edinburgh: 2 hours to Inverness: 1 hour to Aviemore. Huntly has a Tesco and Asda supermarket, 2 butchers, various takeout outlets, Doctors, 24 hour A&E and pubs and restaurants and a train station (Inverness to Aberdeen line).